Most Census stories will be about how New York has changed – after all, headlines like "proportion of New Yorkers who are white declines by 1%" or “population of Queens stays the same!” aren't really much of a story. We look for the neighborhoods and demographic indicators that have changed, find the interesting stories, and write about those. But the real interesting story – and something you won’t read about - is that from a demographic perspective, there is a very good argument that this is the single most stagnant decade in the history of New York City - at least dating back to 1790 when the decennial census was first conducted. To start with, absolute population increase or decrease is the single greatest driver of change in the urban environment. At its core, a city is a physical structure designed to support human beings in their lives. 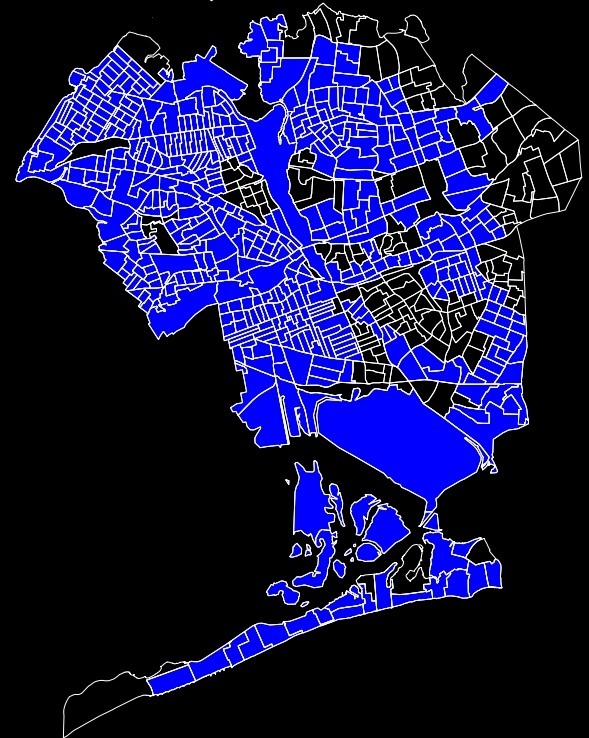 As such, the number of human beings is 95% of what determines the physical structure of the city. From 2000 – 2010 the population of New York City grew (officially) by 2.1%. From 1790 until 1930, there was not a single decade that New York did not go without at least a 15% increase in population – and often more like a 50% increase. Think of the change in the city over the eighty years from 1850 – 1930, when the population increased tenfold, and the change over the eighty years from 1930 –2010, a period in which the population has stayed more or less steady at between about 7 and 8 million people. If you took someone from today and put them in the New York City of 1930, they could catch a game at Yankee stadium, and then ride the IRT down to Grand Central Terminal, before walking across the 59th Street Bridge to Queens. If you took someone from the New York City of 1930 and put them in the New York City of 1850, they’d meander through a farm before swimming across the Harlem River, walking a couple hours down a dirt country road and then waiting for a ferry to take them to John Jacob Astor’s country estate. So the period we’re looking at is the period from 1930 – 2010. Out of these 8 decades, we can dismiss two that also had significant population changes: 1970 – 1980 (population decline of 10.4%) and 1990 – 2000 (population increase of 9.4%). This leaves our rivals for “most stagnant decade” as the periods from 1930 – 1970 and 1980 – 1990. Now, in addition to overall population, we have to look at where this population was concentrated. Population shifts create areas of growth and decline, which means areas of development and abandonment. Manhattan has changed incredibly since the 1890s even though the overall population is roughly the same as it is now. 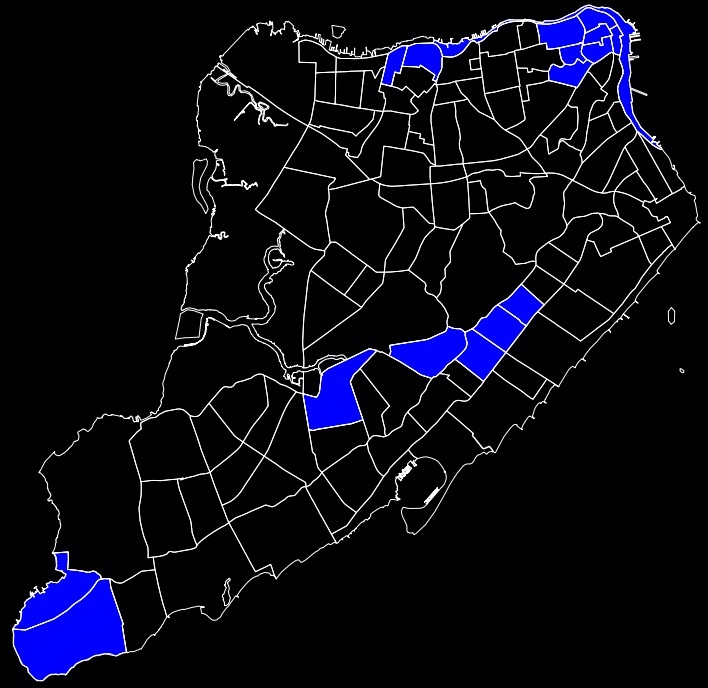 This is because in the Manhattan of the 1890s almost all of the population and industry was concentrated in the southernmost quarter of the Island. That area has decongested, while the rest of the borough has experienced exponential growth. In 2010, New York City has almost exactly the same distribution of population as it had in 2000. Each borough retained roughly the same proportion of the overall population - the largest change was Queens, which went from having 27.8% of the population to having 27.3%. The largest population growth was in Staten Island, which grew by 5.6%. In absolute terms, the largest growth was in the Bronx, which grew by about 52,000 people (but is still about 86,000 people short of its peak population in 1970). Contrast this to the period from 1950 – 1960, a period of only a slight (1.4%) overall population decline, but which had a huge population shift from Manhattan, which declined by 261,000, to Queens, which increased by 258,000 people. Or the period from 1930-1940, period of relatively modest (7.4%) overall growth, but heavy growth in the Bronx and Brooklyn, which each increased by about 10%, and explosive growth in Queens, which saw a 20.2% population increase. So this leaves us four decades: the 1940s, the 1960s, the 1980s, and the 2000s. We’ll take a closer look at these next post. Found your blog recently and very much enjoy it. So my problem with this post: it doesn't mention the fact that the 2010 census data is almost certainly severely undercounting the city. 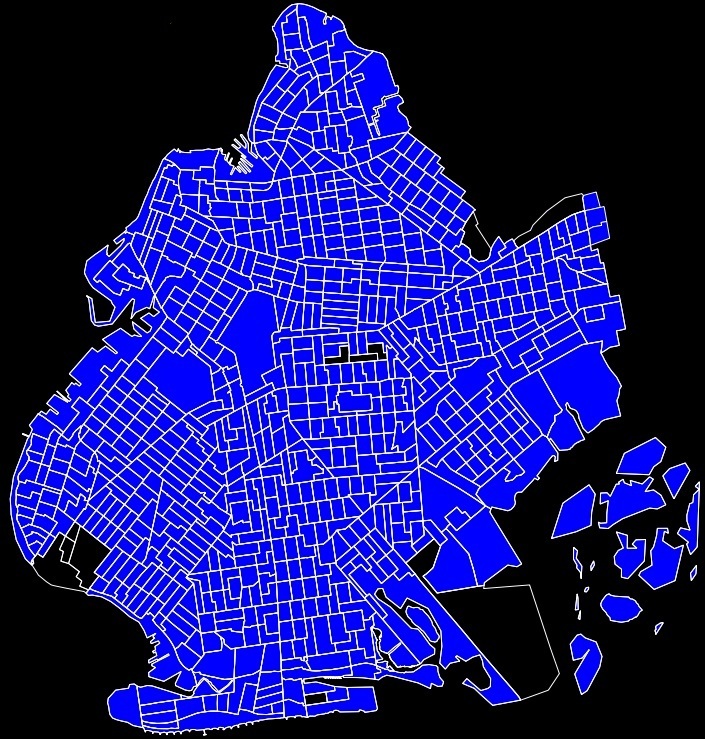 For example, the data suggests that Astoria lost an astounding number of people - something like 20k in the Greater Astoria region from the census map I was looking at. That simply doesn't make sense if you look at other trends - housing supply, rents, transit usage, whatever - there's simply no way that that part of Western Queens lost any people, let alone 20k. It's clear that the census is extremely unfavorable to urban areas and areas with large immigrant populations - that being the case, it's no surprise Queens would be hit the hardest by their sloppiness and methodology. The earlier ACS estimate of 8.4 million is more believable, but I wouldn't be surprised if even that turned out to be an underestimate. Oh actually I see you mention it in an earlier post! Still, in this one you're taking the numbers as granted, and they absolutely cannot be. Hey Sartke - glad you like the blog. I agree the undercount is a big issue, and I probably should have made more mention of it. I didn't for a couple reasons. First, the purpose of the demographics part of this blog is really to try and tell the stories I don't think are being told otherwise, and the undercount has been widely reported and talked about. Second, I'm comparing historical census data, and other census' have also had undercounts, most notably 1990. If I adjusted for 2010, I'd have to try and go back and adjust for all of them, and I simply don't have the knowledge or ability to do that. As such, I stick with the official numbers, flawed as they may be. If I tried to adjust for the undercount in 2010 it would still show only a 4-5% growth rate, and would also most likely show even more uniform growth in the boroughs, as the areas with the most undercount - most notably Queens but also Central Brooklyn - also showed a below-average growth rate.